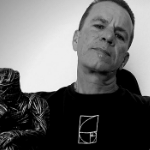 When you start to understand that symbols rule the world, and our own governments have adopted these ancient symbols to represent their heraldry under which they govern, you then become awakened to the ancient images, patterns and symbols that are within each one of us. These same said symbols can help lead us to the truth of the reality in which we live. 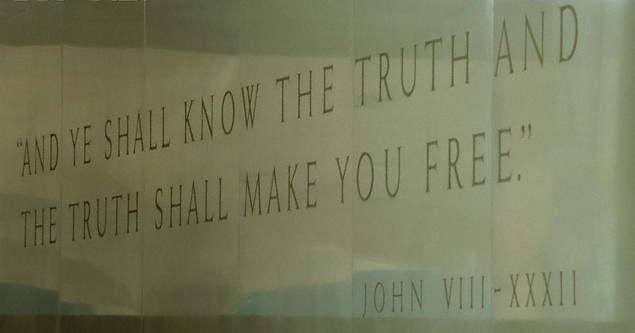 This is why it is inscribed on the CIA building here in the U.S., the words copied from the Gospel according to St. John — “And ye shall know the truth and the truth shall make you free.”. A symbolic example of this secret truth is contained within the National Bird of the United States. Many Americans and people around the world think that our National Bird of the U.S. is an eagle. They are wrong. The symbolic bird you will find on the Great Seal of the United States is actually the mythical bird known as a Phoenix. The image to the left shows the obvious attributes of the Phoenix. This final design is attributed to Charles Thomson and was adopted immediately by congress on June 20, 1782. The scroll in the beak of the Phoenix is the Latin motto of 13 letters, E Pluribus Unum, meaning in English, ” Out of Many, One”. Later an olive branch and a bundle of 13 arrows (representing peace and war, respectively) were included in the claws of the phoenix. Over its head there appears 13 stars that are arranged in rows of 1-4-3-4-1, forming a six-pointed star. The Star of David and symbol of Israel. It was officially adopted as the National Emblem in 1787. The symbol of the Phoenix represents rebirth, and reincarnation. It was adopted on our seal under the laws of heraldry. The meaning of the word heraldry is the practice of devising, granting, displaying, describing, and recording coats of arms and heraldic badges. In each country in the world, you will find symbols that represent, and/or as a form of identification of the regime in control of the land. These symbols like the Phoenix found here in the U.S. were said to have originated as early as predynastic Egypt c. 3100 BC, an emblem known as a serekh was used to indicate the extent of influence of a particular regime. The 6th and 7th century archbishop, Isidore of Seville had said the name of the phoenix derived from its purple-red hue, an explanation that has been influential. This association continued into the medieval period, albeit in a different fashion; the bird was considered “the royal bird” and therefore also referred to as “the purple one”. In studying the heraldic symbol known as the Phoenix of the United States, I have found that it dates back to the time of the Phoenicians, and Greco-Egyptians. The land of the original Phoenicians is spoken about in the bible as being Phenice, a port on the island of Crete. The Phoenicians often referred to themselves as Sidonians. Their capital city was named after the biblical Sidon, the first-born son of Canaan (Crete), son of Ham (Egypt). Ham was one of the original occupants of Noah’s Ark and Noah’s youngest son. The Sidonians were considered masters of science and magic. Like the Phoenicians of yesteryear, the Americans today are both masters in science and magic. In fact, this is how the people are governed here in the West. THE PHOENIX IN THE U.S.A. The trail of the Phoenix from the East we find today in the West, in a land known as the United States of America. A place I like to call home, and the Masonic States of America where the Goddess rules, and where the Phoenix awaits rebirth. Hence, E pluribus unum (“Out of Many, One”). 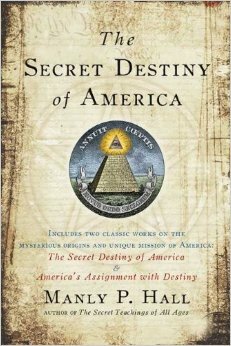 Does the United States have a secret destiny unbeknownst to its citizens? Not only were many of the founders of the United States government Masons, but they received aid from a secret and august body existing in Europe which helped them to establish this country for a peculiar and particular purpose known only to the initiated few. 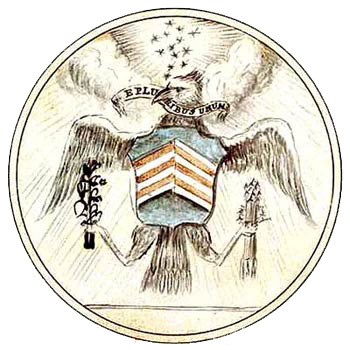 The Great Seal is the signature of this exalted body—unseen and for the most part unknown—and the unfinished pyramid upon its reverse side is a trestleboard setting forth symbolically the task to the accomplishment of which the United States Government was dedicated from the day of its inception. To find truth, one must follow the symbols and the signs that lead the way to the light – “And ye shall know the truth and the truth shall make you free.”.